For more than 20 years, Uli Hoffmeier has been a member of the noted “Palastorchester mit seinem Sänger Max Raabe” from Berlin which plays over 100 concerts a year in Europe, America and Asia. There are countless CDs and DVDs where you can hear and watch his guitar work but also his performances on banjo, mandolin, ukulele, balalaika and violin. With his own group, Premier Swingtett, Mr Hoffmeier plays “Global Gypsy Swing” since it is an internationally diverse quartet. 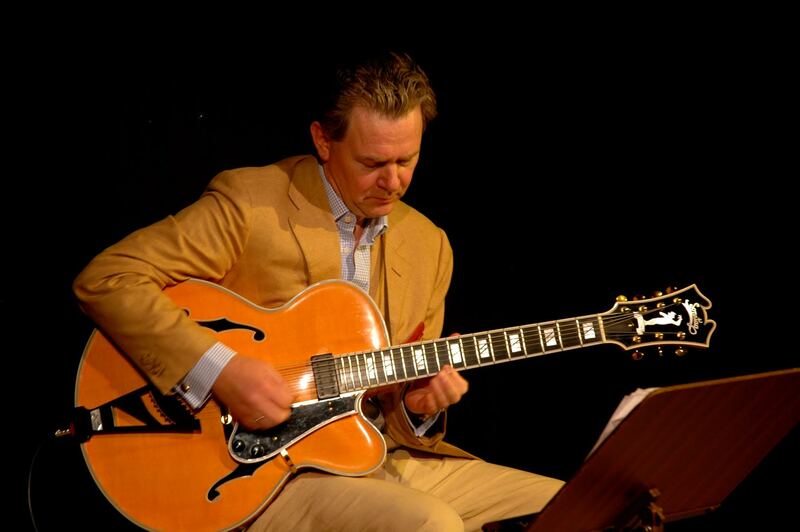 For the past fifteen years, he has also been organizing and teaching at international workshops in France and Germany, including Workshop Jazzguitar Provence.